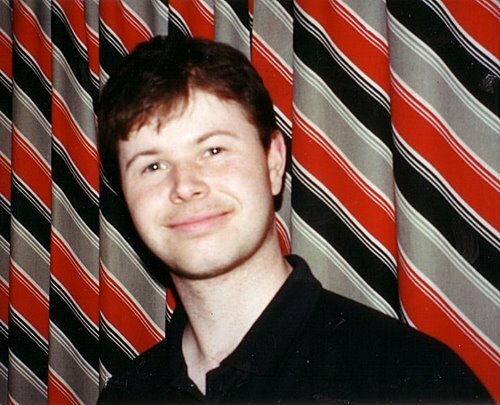 It was 14 years ago today that my best friend of 16 years, Pete Barnes, was hit by the first of several strokes and then tragically died a few days later. He was aged just 30, in great health and no one saw it coming. I’ve written many times of how important he was to me, what a massive hole his passing left in me, and how the pain and loss have never lessened or left me. I still miss him every day and I still feel intense guilt over the whole affair. 14 years on and I still hate this time of year and find my mind taking me back to that day…what I should have done…how maybe I could have saved him. The darkness swallows me for a few days. Yet, as I have said many times, since he left us, he has in one way or another inspired me to greater things and remains my best friend, constant companion and wisest advisor. This year I wanted to mark the 14th anniversary of his death with some bare facts…because strokes can affect anyone of any age, yet so many of us, including health professionals, still think of it as an affliction for the over 60s. So please, take a moment to read the information below from the Stroke Association, and make sure your friends and family know this stuff. With early intervention many strokes can be survived, we just need to know what to look for, and not be afraid to tell our health professionals of our fears. Don’t be a passive bystander, step up and be heard. A speedy response can help reduce the damage to a person’s brain and improve their chances of a full recovery. A delay in getting help can result in death or long-term disabilities. Please click the link below for an explanation of the FAST test in an audio format. If symptoms disappear within 24 hours, the person may have had a Transient ischaemic attack (TIA), which is also called a mini-stroke. A TIA is still a medical emergency, because it can lead to a major stroke. It is the 5th of November once again, and whilst the past few days have been celebratory, feeling chuffed about my audiobook business (www.ladbrokeaudio.com) surviving its first year, the time has come once again to look back and mourn the death of my best friend, Pete Barnes. He died, 9 years ago today, aged just 30, of a series of strokes. I’ve written a lot about this before, so won’t bore you with it all again. Suffice to say, he was my best friend (of 16 years) as well as my housemate, my brother-in-arms and the geekiest guy I knew. He was fit and healthy. He had no obvious signs of an impending stroke. We were playing a computer game on a Sunday afternoon and then…BANG…my best bud was dead. Gone. Never to hear him speak again. 9 years hasn’t lessened the pain, I still grieve everyday, still feel guilt every minute and still miss him every second. So many great and geeky things have happened to me in the past 9 years, and while I know I had Pete with me in spirit, boy do I wish he’d been there in reality. So here’s to Pete Barnes…a true top chap. Taken too soon, but a joy to have known. Now here’s the thing…stroke can affect ANYBODY! Not just the old or unwell. Many younger people suffer from strokes and you need to know the signs. I didn’t and I blame myself for not getting him the medical help he needed (as well as blaming those at the hospital who were unable/unwilling/untrained to do what was needed as soon as possible). This doesn’t have to happen to anyone else. PLEASE PLEASE PLEASE, watch this video from the Stroke Association and learn about the FAST test…it really won’t take too much of your time and may save a life one day. Thanks for reading this far, and thanks for taking the time to watch the video and learn the FAST test. Pete was my best friend, my brother in life and my continued inspiration. He is 9 years gone, but forever here. I miss you, mate. 8 Years On – F.A.S.T. It was 8 years ago today that my best friend of 16 years, Pete Barnes, tragically died of a stroke. He was aged just 30, in great health and no one saw it coming. I’ve written many times of how important he was to me, what a massive hole his passing left in me, and how the pain and loss have never lessened or left me. I still miss him every day and I still feel intense guilt over the whole affair. Yet, as I have said many times, since he left us, he has in one way or another inspired me to greater things and remains my best friend, constant companion and wisest advisor. This year I wanted to mark the 8th anniversary of his death with some bare facts…because strokes can affect anyone of any age, yet so many of us, including health professionals, still think of it as an affliction for the over 60s. So please, take a moment to read the information below from the Stroke Association, and make sure your friends and family know this stuff. With early intervention many strokes can be survived, we just need to know what to look for, and not be afraid to tell our health professionals of our fears. Don’t be a passive bystander, step up and be heard. Many thanks from me…and from Pete Barnes. He may be gone, but he’s still with me everyday and pushing me to do better by myself and everyone around me. It’s just before midnight on Monday October 26th 2009, and after over 6 months work, I have finally completed the 5 episode that go to make up the DOCTOR WHO HORNETS’ NEST audio series, starring Tom Baker. All the prep, recording sessions, rough editing, construction, SFX & atmos, fine editing, drafting, final editing and mastering…it is all done! As I type this the final two master files, for episodes 4 and 5, are burning on to a DVD-Rom ready to be picked up by courier tomorrow lunchtime (we can’t trust the post in the UK right now!). That courier will travel all the way from my home in Croydon (South East of London) to Bath (West Country near Bristol) and deliver the masters to the team at BBC Audiobooks who will then send them off to the duplication plant and thence on to distribution. The third episode is out in a week or so and the final two CDs are released on the 14th December, just in time for Xmas! So that’s it…no more WHO for me for the time being. For the next few days I think I will be quite pleased about that fact. Pleased that the deadlines have been hit, that the BBC bosses are happy with the series, that I’ve been a fairly important part of a pretty important new addition to the ongoing Whoniverse. I’ll also be glad the work is done, I can send in the bill and I don’t have to spend every hour I have (including late nights and weekends) editing Dr Who audio. But after a few days I fear the withdrawal symptoms will start. No more WHO?! What am I going to do? I have loved being a part of this mad and crazy adventure. Working with Tom, and Richard Franklin, and Rula Lenska…chatting with Paul the writer, talking SFX with Michael the commissioning editor, and most of all playing around with audio with the gorgeous Kate the producer/director. I want more, more, more! As you can imagine, I’ll be pushing the BBC Audiobook teams to let me produce and edit more of the DW audio adventures as soon as possible. And you never know, at some point the “Doctor Who And The Dalek Invasion Of Earth” audiobook I produced earlier this year will finally be released! So I am going to miss being a daily part of the Whoniverse, yes indeed. But I want to say a few words about another loss I feel at this time, related to all this Who-tastic stuff I’ve had the honour to work on. On November 5th this year (just a week away), it will be the sixth anniversary of the death of my best friend, Pete Barnes. He died, aged 30, of a massive stroke…there were no signs or warnings, it came on suddenly one Sunday afternoon while we were playing a computer game in the flat we shared. By the following morning he was gone. No reasons…no rationalisations…a perfectly fit and healthy young man taken away and nothing for any of us to pin the blame on. Pete was just gone. Pete and I had been best friends for 16 years, had worked at Tesco’s together collecting trolleys aged 15, started at Hospital Radio Bedford together, moved on to Supergold and Chiltern Radio together, then gone in separate directions work-wise for a few years but forever being the best of buds and supporting each other while doing all the stupid things guys do together. We went on wild and wacky holidays together, saw far too many films and concerts, drove the length and breadth of the UK together, watched even more films, and sung a lot of songs BADLY while driving around. Yes, we were a very real ODD COUPLE, we were brothers and we had a blast. I suppose I was thinking we would even grow to become GRUMPY OLD MEN!! Eventually, in 1999 when I bought my flat in Croydon, Pete moved in as my lodger and we were able to enjoy living out all our earlier dreams of drinking cider on the couch while playing computer games, talking about Star Wars and then watching far far too many DVDs! So as you can imagine, having him suddenly die on Sunday in late 2003 came as a bit of a shock to me. It isn’t too much to say that I am still suffering from the loss. I threw myself in to my work as a means of escape, and Pete must have been smiling on me, coz work worked out! Since 2003 I have been able to achieve just about all my professional goals in life, helped many talented people get on to UK radio, assisted charities and trade unions, fought the good fight and come out the other side with all my bits intact. And here I sit, typing this blog, the owner of my own successful independent production company, relatively well-known and I hope somewhat respected for my producing and directing, and generally in a pretty good place. So to have been so involved in the comeback of Tom Baker, well, that would have blown his mind. I like to think that he is getting a buzz out of the fact that my home editing office is in his old bedroom, so in some small way he has had a part in bringing Tom back as well. But I am sad, because I so want to play him the audio, I so want to get his reaction, to see his smile and hear his thoughts. I wanna have him bug me for a chance to meet Tom, to get an autograph or to come to one of the sessions. Just as he would have fizzed at every moment of The Brightonomicon audio series, Pete would have been my biggest supporter, and most annoying critic (!) throughout the Hornets’ Nest series. I miss him so very much, and I wish he was still here. I forgive him the OTT anoraking of incessant Star Wars and Dr Who fandom…if I am honest, I loved it every bit as much as he did! So I would like to, UNOFFICIALLY, dedicate DOCTOR WHO HORNETS’ NEST to him, to his memory, to his love of the Doctor, and to his friendship. Without him I wouldn’t have gotten to where I got in life, and I wouldn’t have gotten to make a Tom Baker WHO adventure like this! And please, if you have lost someone close to you, I would also like to dedicate the series to them…especially if they were a WHO fan, but even if they weren’t. Doctor Who reminds us that friendship and family are all-important…as are having fun, a sense of adventure and a child-like fascination with the world. Our companions may no longer be with us in person, but they remain with us in spirit (and re-runs!) forever.